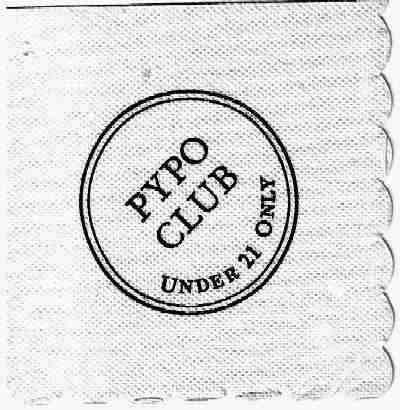 The Pypo club was located one block north of Broadway in the middle of Seaside. The building was an Electrical Co. for years afterwards. It was owned by the same people that owned "ONEY'S" Restaurant on Highway 26. 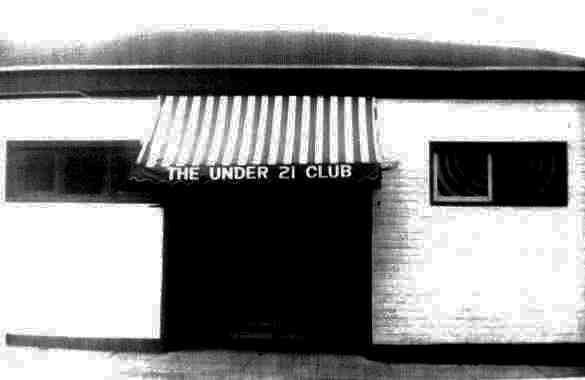 The Club featured mostly Surf bands as it was about two or three blocks from the beach, but also had Paul Revere, The Wailers, etc. There were a lot of tourists, so they didn't advertise much. 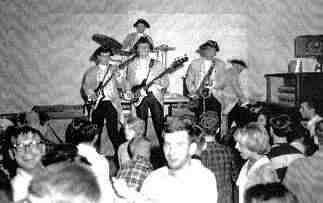 I played at the Pypo with Big G & the Cheerios in about '64 and the only souveneir I could find was a napkin. This photo was taken before the Pypo Club - but the same person who started the Pypo Club owned the Bungalow (the skating rink) - Pat Mason and his wife Alta. It was where the music scene in Seaside started. My sister, Audrey Lee, took the photo of Gene. It was such a HUGE deal when he came to town. On March 27, 1964 we had a surprise Tsunami after the big earthquake in Anchorage, Alaska. 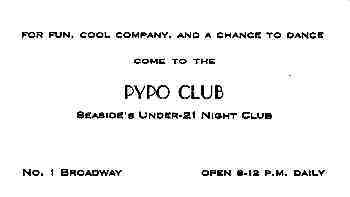 There was a teenage club in Seaside, the Pypo Club, for under 21 year olds. 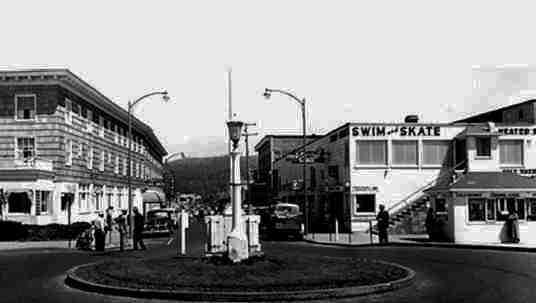 It had been at the Turnaround above the Natatorium, on top in the space where the Legion Club had been, but had moved to ground level by the Necannicum River. We were dancing to live music when at about 11:30 we felt water on our feet. Thinking it must have been a water main that burst, we went to the door, and there we saw water rushing down the street and sidewalk. One of the girls had an open jeep parked by the door, so we jumped in and shouted into the club, "everyone to McKnight’s place." They lived in Clatsop Plains and everyone spent the night there. We were used to going to high ground whenever we heard a tidal wave warning, but at that time there was no warning at all. I played for Teddy and the Rough Riders. 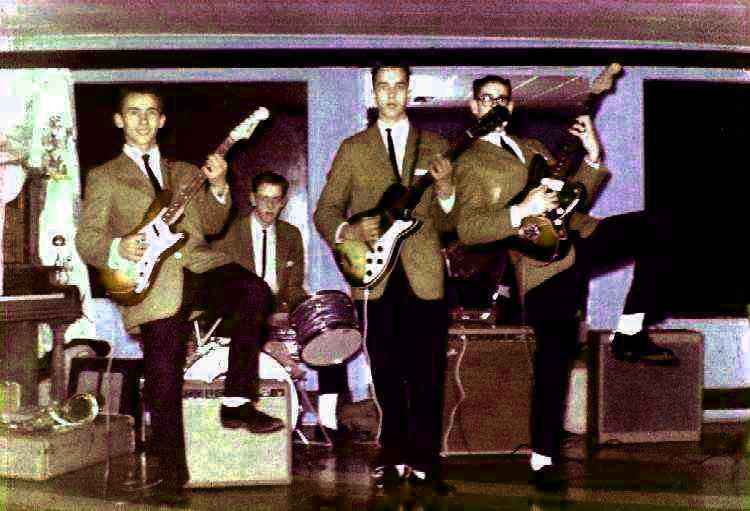 We were the house band at the Pypo Club during the summers of 65, 66 and 67. We also played many winter weekends. We probably played there 200 times. Also James Henry and the Olympics were the house band there for at least two summer seasons before we were. 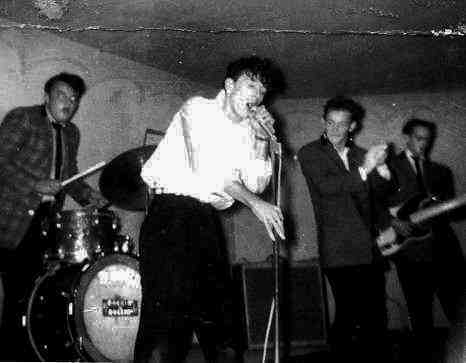 The Portland Zoo played the Pypo Club a few times in 1968 and 1969, but the last time we played there it was a very hot and muggy night; we were sweating rivers. Halfway through the night I announced: "Well, I promised I wouldn't say f*ck into the mic tonight, and you can see I intend to keep my promise . . . not to say f*ck into the mic!" Then two songs later, Mario, who was dripping with sweat from drumming, feeling he couldn't stand the heat any more, took his shirt off. Ten seconds later the power to the stage was cut and a policeman jumped on stage to arrest Mario for trying to start a riot! We were able to talk him out of it but we were subsequently banned in Seaside and Cannon Beach... and maybe we still are! But we're not banned in Portland and we are going to play a set on January 6th, 2014 at the Crystal Ballroom as part of their 50th anniversary celebration. See you there? The Address No 1 Broadway was for the first location when the club was on the Turnaround. The aboce picture shows the second and longest lasting location on Ocean Way.